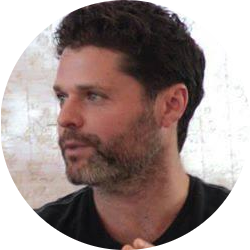 Daniel Schmachtenberger is the Founder of The Emergence Project and the previous think tank that lead to its formation -- Strategic Global Solutions. His background in systems science, human behavior, and activism brought him to focus on the global systems that interconnect and drive our major global challenges. He has spent much of the last decade studying the etiology, scope, magnitude, timelines, and interconnectedness of major issues; inventorying global resources and solutions; doing detailed comparative analysis of economic and comparative analysis of economic and governance systems; and developing comprehensive systems solutions, adequate to the issues and realistically achievable. Daniel has expertise as a social science, a social engineer and evolutionary philosopher and strategist. His aim is to develop an integrated set of technologies and processes capable of organizing and supporting a distributed and continually updating comprehensive critical path management system for humanity's total evolution. He is working to repurpose and synthesize relevant state-of-the-art systems for information management, complexity processing, mathematical forecasting, and other data science tools into an integrated set of functions capable of global resource allocation planning and strategy. His aim is the shortest path to a fundamentally redesigned world-system that makes possible and supports the highest quality of life for all life, now and ongoingly. Specifically, his focus is on the development of new systems of economics and governance that intrinsically incentivize life-enhancing behaviors at all levels of agency, supporting distributed and spontaneous problem solving and conscious participation in our global evolution.